One of the fastest growing modern day diseases is high blood pressure. It has been found that even children below the age of thirteen have this problem. In fact, researches have shown that between seven percent to ten percent of children have high blood pressure or, what is known as hypertension. The incidence is much higher in adults and it is estimated that in India, one in three individuals will soon have this problem. Most importantly, a lot of us do not even know that we have it. We ignore the symptoms only to find out later that it has reached high levels, requiring life long medication. High blood pressure does not start suddenly. Consistent adverse lifestyle or stress builds up slowly. The first signs are unexplained headaches, fatigue, or other symptoms. It first starts in a small way and is borderline in nature. It can remain for anything from between one month to three months. If we understand the causes and tackle them, we can bring it down without medicines. If we do not do anything, it may become persistent and increase some more leading to hypertension which requires medication. 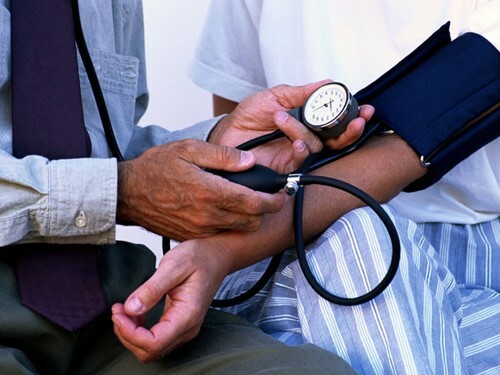 There are various things to do to prevent or control high blood pressure. A focus on diet, stress and a regulated lifestyle are important. However, one of the most important things to do is exercise. Moderate exercise had been suggested to keep blood pressure away. Mild to moderate exercise is also suggested for persons with high blood pressure to help manage it. But how does walking or moderate exercise help blood pressure management? When we exercise or move our bodies physically, there is increased muscular activity. This increased activity during exercise requires increased supply of oxygen and glucose. The body provides this by breaking down glucose and fat stores in the body. In addition, we also tend to breathe deeper and faster to increase oxygen supply. When there is an increase of these elements, there is also an increase of waste products and by-products generated in the muscles of the body. These waste products have to be removed very fast from the muscles. This is achieved through greatly increased blood circulation. What this means is that the heart has to greatly increases its pumping. In such cases, what the heart does is to increase its output from a normal of five litres per minute to as high as thirty five litres per minute (in professional athletes). As a result, the heart rate shoots up and so does the systolic blood pressure. Post exercise, both of these come down to normal levels. A key measure of good blood pressure and good health is how fast your heart rate and systolic blood pressure come down to normal. The more regularly you exercise, the faster your heart rate and systolic blood pressure come down after physical exercise. With regular exercise, the muscles of the heart become more elastic and stronger over a period of time resulting in lower resting heart rates. As an example, if previously your resting heart rate was between seventy to ninety beats per minute, with regular exercise it comes down to sixty to eighty beats a minute. For professional athletes and sportspersons, it can be as low as fifty to seventy beats per minute and it can be even lower for practicing yogis. Therefore, the more regularly you exercise, the heart gets healthier. A Healthy heart has elastic heart muscles and lower resting heart rates. Even when we exercise or get stressed at times, our heart rate will not shoot up very high. It will be much lower than before you were exercising. All this implies lowering of blood pressure. If you want to prevent these problems, do take up any moderate exercise or sport of your choice on a regular basis. If you already have this challenge then opt for our very effective yoga for high blood pressure program. Yoga can effectively manage and even cure this problem with regular practice and proper lifestyle management. However blood pressure is not just a factor of physical activity but also of stress and taking some professional diet consultation. We address all these aspects in our wellzee programs. If your pressure is high then you can also take our online stress management program. Start yoga or moderate exercise and change your diet patterns to prevent or cure high blood pressure.